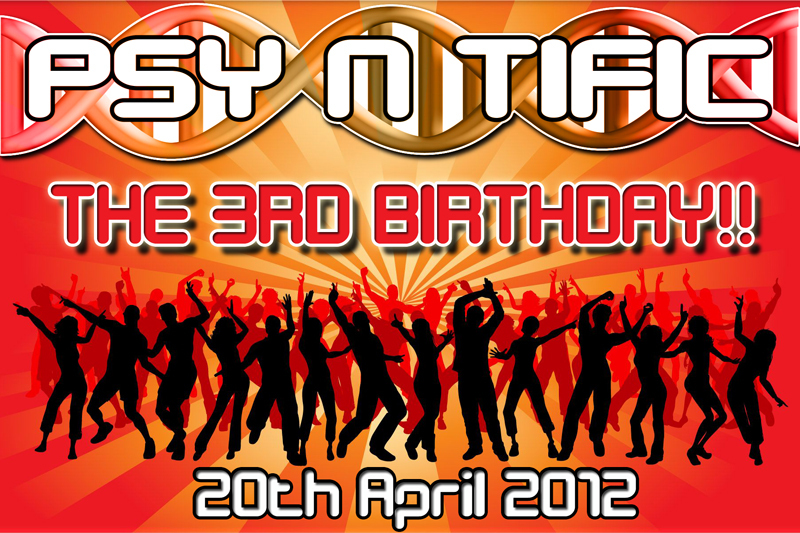 On Friday 20th April we will be celebrating a whole 3 years since our first party all the way back in 2009! Since then we've had some fantastic parties, welcomed a host a fabulous DJs to play and continually tried to showcase the very best in uplifting & energetic psy-trance! Our 3rd birthday will be no different and we've got a mouth-watering line-up which will tittilate your eardrums whilst you immerse yourself within the fantastic light & sound that Union offers. And all of this doesn't need to cost you a penny either, all you need to do to be added to the free guestlist is to email your name (and any other names to be added) to us at psyntific.uk@gmail.com. Although even if you forget, a meagre £5 entry fee won't break the bank! Gibralter's finest export, one half of Dejavoo and signed to the legendary Transient Records label. He's played at clubs and festivals over the world and we're delighted that he'll be helping us celebrate our birthday by participating in a bit of dancefloor devastation for us. 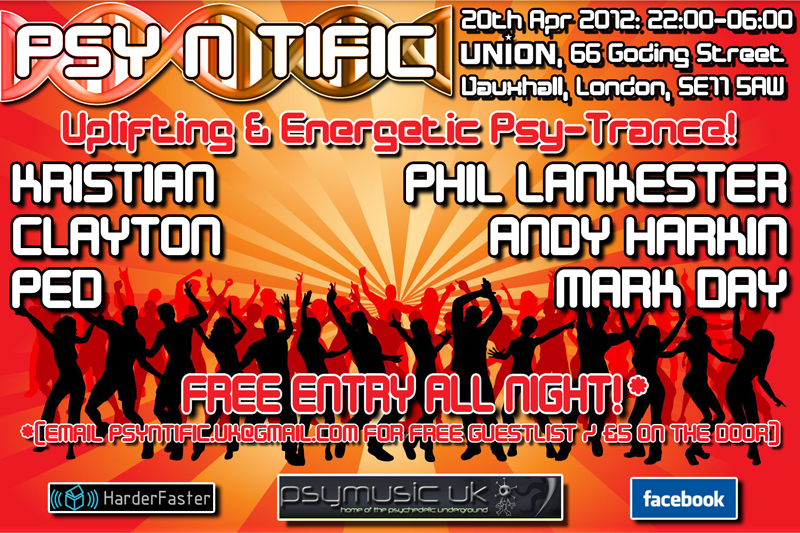 Psy-N-Tific resident Ped will be taking on Halcyon & Puzzle Project's Phil Lankester in a battle to the death! With Ped's uplifting elements mixing with the driving energy of Phil Lankester, this is a combination that could quite literally explode! Freak Bazaar's Clayton (and also the man behind Brighton's very own Psy Sundays) will be travelling up from the coast to pit himself against our very own Mark Day. This is a combination that promises untold chaos for the dancefloor and you can rest assured that where there's Mark Day, flumps will be involved somewhere! A man who never disappoints with his wonderful warm-up sets. He's an expert in setting the mood for the night ahead and will be delivering a prog-psy feast to reward those there from the start - make sure you don't miss it! As always, there'll also be an array of free chewy and glowy things on offer for all and sundry!